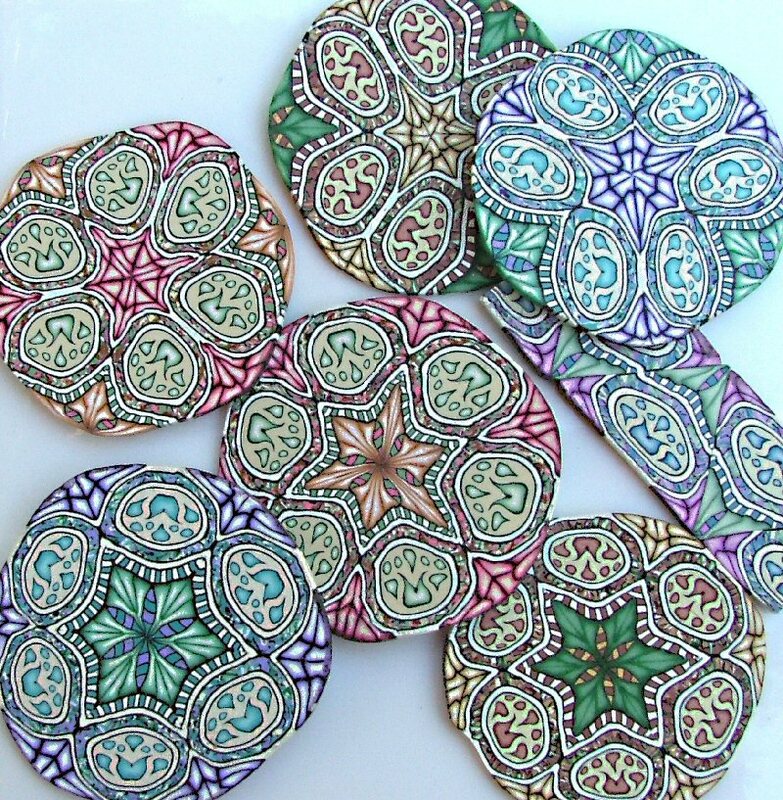 Jana Roberts Benzon is pleased be accepting pre-orders for her new polymer clay millefiori instructional DVD, “Arabesque Caning”, produced by Abba Dabba Productions. This DVD walks the viewer through the construction of a beautiful, intricate Arabesque Cane (see photo), and then teaches her efficient reduction techniques that lead to minimal distortion and waste; it also teaches several different cane patterning configurations. The DVD is chock-full of unique, innovative and valuable information to help the viewer create precise and intricate canes, each and every time. The DVD will be available for shipping in the fall, 2007. It sells for $34.95; by pre-ordering, you will recieve a signed copy and free shipping (in the USA). Visit Jana’s website, http://www.janarobertsbenzon.com for further information, or email her at jana@janarobertsbenzon.com with your name, address and phone number. You will be contacted for payment information when the DVD is available for shipping (pay by credit card, pay pal or check). We are changing our website!